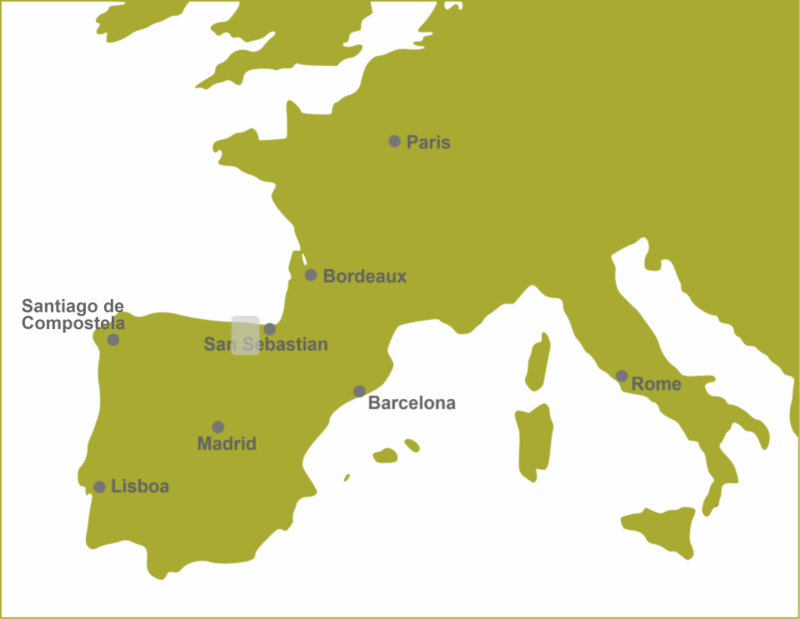 Be ready to join the three Basque territories with a millenary route connecting the region where the wine grows in Laguardia, to the place where the fish refresh in Lekeitio. An entertaining hike around mountains and lost villages, while searching for the salty breeze of the ocean to appear. We may get stimulated by the Gregorian singing of monks early in the morning before start hiking, or just reduce the value of time going back to previous ages. A must for those who believe in originality & sustainable tourism. A great way to retain in our mind how does the Basque Country throb. 6 days hiking between 6/8 hours daily along the GR-38. Visiting the three Basque territories. Walking at Sierra de Cantabria, Alava´s plains and Natural Park of Urkiola-Anboto. Trip finishes at San Sebastian. “Pintxos” and old city tour around Bilbao. Visit a winery at the famous Rioja-Alavesa territory. Make a private visit to Guggenheim museum. Listen how monks practice Gregorian singing in Zenarruza. Lunch in local Gastronomic Club of San Sebastian. English speaking leading guide and transfers. Charming & amazing hotels and B&B accommodations.